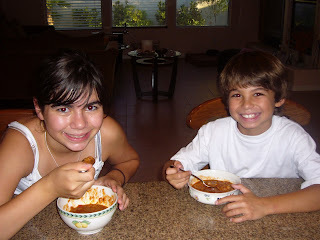 Cooking With The Kids: The Best Chili Ever! Courtesy of Alexander, tonight's specialty is chili. 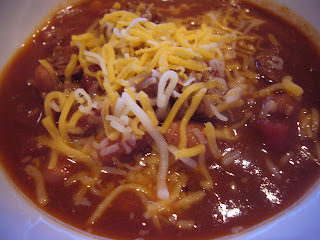 Not just any chili, though - the best chili ever! 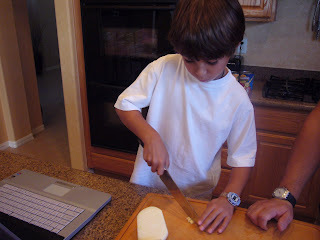 Now everyone says their chili is the best, but how many 9 year olds make chili from scratch? Step right up, and see how Alexander does it! Then simmer till nice and thick! Put paprika, oregano, cumin powder, chili powder, and a pinch of salt and pepper into a small skillet. Heat over medium heat for 3 minutes, stirring constantly until mixture is fragrant and lightly toasted. Set aside. Heat 3 tbs. olive oil in a large cast iron pot. 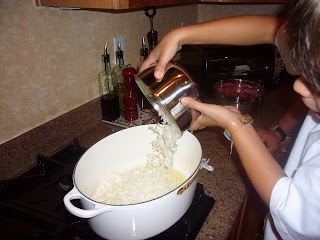 Add onion, and cook over medium heat for 10 minutes, stirring occasionally. 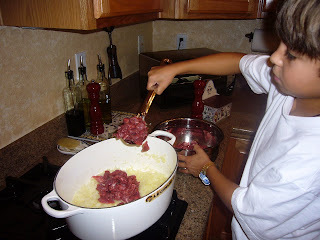 Pat beef dry, and add to pot. 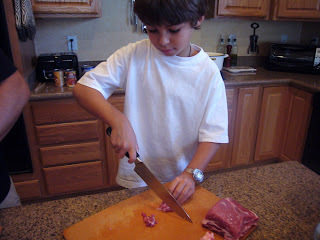 Stir frequently until meat is browned. Add 2 tbs. of toasted seasoning mixture, and stir well. Add garlic, tomatoes, and chili beans, and stir well. 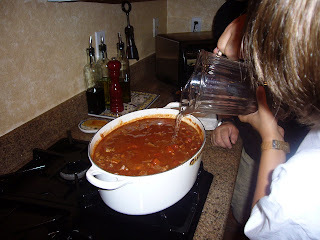 Add enough hot water just to cover the top of the chili, about 1 ½ cups. 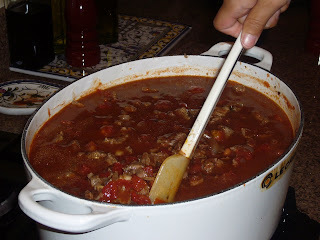 Return mixture to a boil, then reduce heat and simmer, stirring occasionally, for about 2 hours, or until nice and thick. Check seasoning, and add more spice mixture if necessary. YUM! 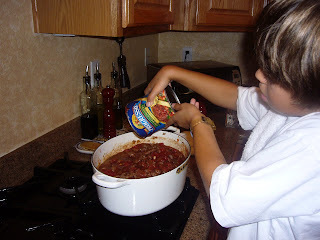 Alexander, you chili looks wonderful!